Do you want to risk it all? Inattention is an issue in both rural and metropolitan areas, for all age ranges and for both males and females. Younger drivers having passengers in the vehicle is a distraction and coupled with peer pressure can increase the risk of a crash. Any lapse in concentration increases the risk of your vehicle being involved in a crash. To anticipate and avoid hazards on the road, you must give driving your full attention at all times. Avoid the temptation of doing other tasks and getting distracted while you are driving. Activities including using mobile phones, eating, drinking, changing a CD and conversing with passengers and children are all increasing your risk of having a crash and taking your attention away from the road. Remember who's driving the vehicle. Taking your eyes off of the road or diverting your attention even for just a few seconds can be fatal. Dangerous driving, careless driving, failure to have proper control of the vehicle and causing the vehicle to make excessive noise or smoke are considered hoon-related offences involving the improper use of a motor vehicle. repeat drink or drug driving. This dangerous driving behaviour places the safety of other road users at risk. To report hoon driving to the police, call 131 444. Keep your speed down, you will have more time to react to avoid a crash and reduce the severity if you do crash. Stay at least three seconds behind the car in front of you. Exceeding the speed limit and driving recklessly can be dangerous. Consider the weather conditions and reduce your speed accordingly. Extreme weather such as strong wind, storm, dust, fog and ice make driving a hazardous task. Make sure you and any other passengers in the vehicle are wearing their seatbelt, regardless of their age. It doesn't matter if you are only travelling a few kilometres. Most road crashes happen close to home. It does not make any difference if you are sticking to the posted speed limits or travelling very fast because a crash at 40 kilometres is like falling from a two storey building onto concrete. Don't drink and drive. Alcohol and drugs reduce your ability to drive safely and increase your risk of a crash. 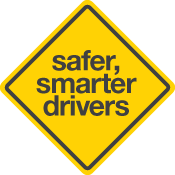 Think about your safety and the safety of your passengers, every time you drive. Showing off, can be fatal. Dangerous driving, careless driving and failure to have proper control of the vehicle places you and other road users at risk. Buy the safest car you can afford. You can reduce your chances of being hurt in a crash if your vehicle has a high safety rating. You must not use a hand-held mobile phone while your vehicle is moving or is stationary in traffic (eg. at traffic lights). L and P1 licence holders are not allowed to use any type of mobile phone function while driving.